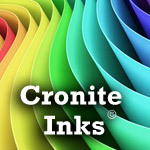 Cronite has developed a revolutionary system which enables our customers to match ink colors themselves rather than wait for the special match inks to be made by Cronite and shipped. Cronite waster based ink is used not only on our press systems, but around the world to edge and border exquisite cards and stationery. The water based ink is thick enough to gild with gold or border the card edge and dry quickly. This is easier than foil gilding. 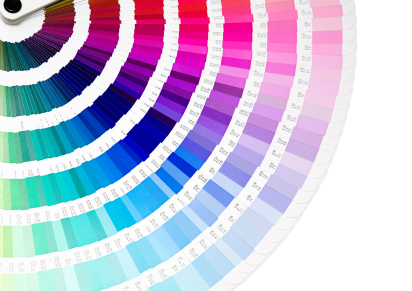 Plus with the CDS system a small amount of any Pantone color can be made to complete the job at hand and keep costs low while satisfying even the pickiest customers. 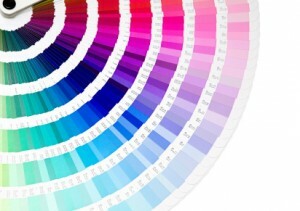 The CDS system uses 12 mono-pigmented Pure base inks and extender. 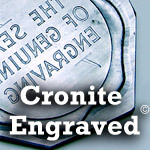 These inks are rigidly controlled for strength and color match during manufacture at Cronite. This ensures the customer will be able to make accurate, reproducible matches every time. In addition to the Pure Inks, the CDS system provides an easy to use formula book. The book contains the formulas for mixing thousands of popular colors, including metallics. 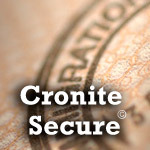 As a Pantone licensee, Cronite is authorized to provide formulas for all of the Pantone colors. Save money on shipping and not have to worry about shipping delays caused by inclement weather.